The Harry Potter and Lord of the Rings franchises are too of the highest grossing in cinematic history, with the boy wizard being ranked at number one. 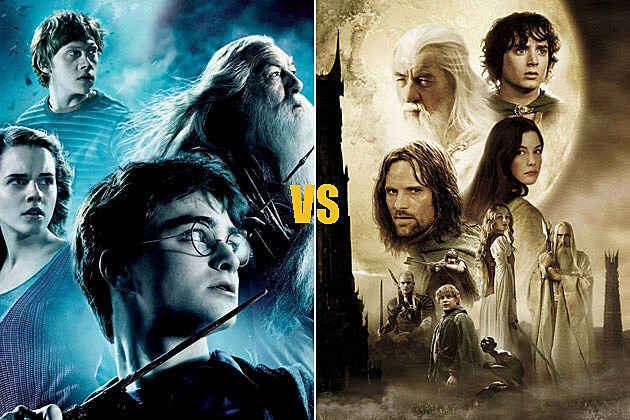 There is a lot of debate among fantasy fans as to which franchise is actually better and audiences tend to fall on one side or the other, rather than both. There are many similarities between the two film series’: the unsuspecting hero (Harry and Frodo), the ever faithful best friend (Ron and Sam), the tale of friendship and companionship, both taking place in completely new worlds and the battle between good and evil. Both franchises are based on books by British authors, also; Harry Potter by J.K. Rowling and Lord of the Rings by J.R.R Tolkien. Return of the King is joint holder of the most Oscar awards won by a single film. If we go by recognition from the Academy Awards then there is, of course, a clear winner in terms of which film series is better. Whilst the Harry Potter series won the BAFTA for Outstanding British Contribution to Cinema, it received zero Oscars, despite six of the eight films being nominated for 12 between them. Lord of the Rings, however, was nominated for a total of 30 Oscars, winning 17 of them including best picture for Return of the King. Throughout the course of the Harry Potter series it remained British in its casting. It made child stars of the main three newcomers Daniel Radcliffe, Rupert Grint and Emma Watson but accompanied them with some of the best British actors around. Some of the best include Gary Oldman, Alan Rickman, Julie Walters, Helena Bonham Carter and Maggie Smith. Whilst some of the actors in Lord of the Rings are British Peter Jackson (director and creative mind behind the films) went abroad too for Elijah Wood and Viggo Mortensen. Lord of the Rings also combined the new actors and old actors by pairing Orlando Bloom with the likes of Ian McKellen and Sean Bean. So both film series have superb casts, there is no doubt about that. 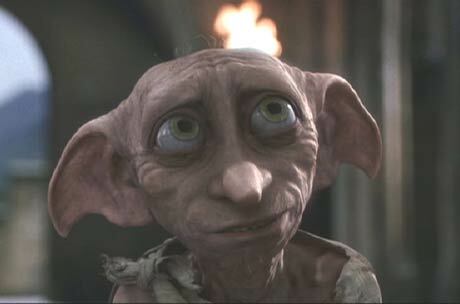 Dobby won the hearts of audiences the world over throughout the Harry Potter series. The special effects for both films are again fantastic. Both franchises had to create these brand new worlds for audiences. Harry Potter had it slightly easier because it’s world is still based in human territory really but did what it had to; the flying cars, Dobby the house elf, the massive basilisk, the whomping willow, werewolves and the brilliant scenes of the Quidditch World Cup. Lord of the Rings created the Shire, Mordor, Mount Doom, Rohan and more. Making each place look as though it belonged on the screen and looking as though you could actually be there. The creative process that went into those scenes is unimaginable. And where Harry Potter created the basilisk and the house elves, Lord of the Rings created Gollum, the Balrog and Sauron himself. There is no doubt that the two franchises are up there with the best of all time, but there is one factor that, I think, separates them. That is the rewatchability factor. When I like a film, really really like it, I want to watch it again and again and enjoy it as much as I did the first time. As much as I like Lord of the Rings every time I consider watching them again it dawns on me how long they are and as the first one is slightly slow paced it seems like a much daunting task than perhaps it is. This is even more true if you happen to own the extended cuts. Millions of children have grown up with Harry, Ron and Hermione. This is where Harry Potter triumphs, in my eyes, as each film is an enjoyable journey. Despite the story getting darker and darker as each film progresses the films manage to keep a light heartedness about it that makes it easy to watch, easy to follow and easy to watch again. As well as this, Harry Potter is something for the whole family to enjoy, whereas Lord of the Rings is perhaps targeted at a more mature audience. As you might be able to tell, I fall into the category of Harry Potter fans. I do think that this series is better than the Lord of the Rings. This is not a slight on Lord of the Rings at all, as I still think it is a superb trilogy and look forward to The Hobbit later on this year. But for sentimental reasons, perhaps more than other reasons, I think that The Boy Who Lived will always be my favourite film series no matter how long I live.